This is a 2-part series, the second half of this article will be posted on Thursday, April 25th. Do you ever wonder why your website isn't bringing in new business? You have the staff, vision and determination, but you're hitting a wall. Sound familiar? That could be due to key aspects that your website is potentially missing, 5 of which are outlined below. If you accept online payment on your website then you need to offer your clients a secure portal and abide by certain requirements. One fast way to lose business is jeopardizing your credibility by compromising your customs confidential information. Ensure you are a trusted business by setting up strong security. You might think this goes without saying, but that's not necessarily true. Often times we find that business owners don't understand the value in establishing a private domain. However, investing in a professional web design partner is money well spent and tells website visitors that you're serious about your business. Does your website require users to click on 10 different tabs in order to get to their desired destination? Some research indicates that users will abandon a site within a few seconds if they are not getting what they need out of a site. With all the strong competition out there, make sure you're giving your users a user-friendly experience. Sure, beautiful images and descriptive text is important on a website to get viewers engaged, but if you include a 200+ word description about your services then you could very well lose viewers immediately. Don't confuse people with your robust descriptions. Instead, be describe what your business does at a glance by providing key details, but omit the minute and inconsequential verbiage. Don't overcomplicate things, sometimes less is more. Lastly, though certainly one of the most important aspects of a strong website, is search engine optimization. In case you're not already familiar with the term, simply put, SEO helps your business with page ranking on search engines, such as Google. This is essential in getting new visitors to your website and ultimately helps with making more leads and sales. Ready For A New Website To Boost Your Business? The concepts stated above might sound daunting to do on your own, so let WebRevelation help. WebRevelation has more than a decade of experience assisting businesses of all types improve their website. Don't wait until your sales plummet! Contact WebRevelation today at 817-283-3324 to set up a free consultation. You'll be glad you did. Join us on April 25th for part 2 of this article to learn 5 more aspects of what your website could be missing. 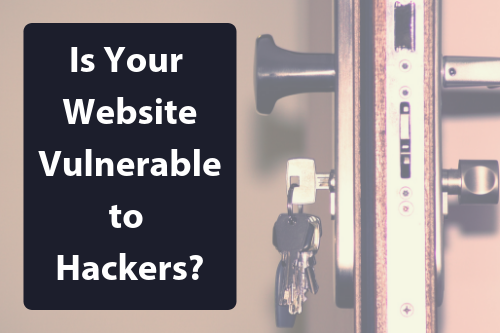 Would it be easy or difficult for a hacker to break into your business website? If you don’t know, or suspect that your data isn’t as secure as you might like, then you aren’t alone. We talk with dozens of clients every year who admit they haven’t paid as much attention to online security as they should have in the past. If you are in the same boat, it’s time to make a change. Most business owners and administrators aren’t aware how serious a hack to their website can be until the worst happens. Then they discover that the damages can cost them tens of thousands of dollars, and possibly even more. Let's start with the most obvious risk. As we have noted in the past, many hackers use software downloaded from the dark web to “guess” simple passwords. If yours is a fairly common word or name that process could take less than a second. Then, they’ll be into your website’s control panel and free to do or download whatever they want. If you haven’t taken the time to set complex and unique passwords already, do so now. Passwords should have numbers and/or special symbols, and be about 10 characters long. Then, set yourself a reminder to change them again in six months. Thieves are constantly looking for ways to get into websites through WordPress and other content management systems, not to mention the plug-ins that run with them. Developers, on the other hand, keep updating their products to stay one step ahead of the hackers. If you don’t install these updates promptly, you are essentially leaving the doors and windows to your website wide open. Either check for new versions frequently or make sure your web design provider is doing it on your behalf. You can often spot the signs of a hacking attempt by looking at the dashboard of your web analytics package. You may see a strange spike in traffic, or referrals from your website to another destination. If you catch them soon enough the problem can be easy to fix. Not only is keeping an eye on your analytics important from an online security perspective, but it’s the best way to make sure your internet marketing campaigns are moving in the right direction. So, this is one activity you definitely don’t want to skip. If no one is keeping an eye on your website then it will be impossible to tell when hackers start changing your content or injecting malicious code into attachments. The signs might be subtle at first, but they are usually there. Either make a commitment to reviewing your website for any obvious errors or changes once in a while or make sure the web design team you pay has you covered with 24/7 monitoring. Want a Safer, Faster, and More Efficient Website? If you’re tired of worrying about online security – and want to turn your web presence into a source of leads, revenue, and cost savings – then this is your chance to make a change in 2019. Contact the design and technical experts at WebRevelation today to see what we can to do help. The following is a guest post by Sara Carter, Co-Founder of Enlightened-Digital. In the crowded SaaS marketplace, branding is everything. When it comes to web-based proprietary software, the competition for market share is fierce. As a result, marketing teams have to build out comprehensive B2B strategies that target and nurture leads, raise brand visibility and drive sales. This post takes a closer look at some of the ways savvy marketers position their product to sell in the B2B market, as well as some key metrics to track. How is this different than other SaaS marketing models? Different buyer personas mean a different marketing strategy. Although traditional forms of media like content marketing, SEO and Google Adwords campaigns still impact brand awareness and help generate leads, the marketing material is largely more informational. Because the product is being marketed to other businesses, marketers can leverage industry vocabulary that would be lost on a consumer audience. Additionally, brand loyalty among B2B clients is surprisingly high versus B2C consumers. According to a study by the Corporate Executive Board, B2B purchases make up more of a personal risk for stakeholders, who feel that job security, credibility, and time and energy depend upon choosing a software provider who eliminates risk and provides obvious value. Thus, a stakeholder is more likely to choose a branded platform they closely correlate with positive results. It can be difficult to break that emotional tie, so it’s important for challenger brands to seed positive sentiment for their proprietary platforms, and focus on revenue-driving metrics that put them in a position to compete with the Oracles and Ciscos of the world. What should the KPIs be for a B2B software marketing campaign? Let’s take a look at some metrics to measure. Not all conversions are created equal. Xander Marketing suggests that someone who starts a free trial or books an online demo is a more qualified lead than someone who downloads a whitepaper. Although both count as conversions, focusing sales and marketing efforts on the stakeholders that take the extra step towards the end of the funnel can result in more qualified leads. That said, normal website conversion rates for SaaS companies can range between 5 to 10 percent, with 7 being the widely agreed upon average. Designing a website to help steer visitors towards these desired conversion activities is key, alongside making them the targets for paid keyword and ad campaigns. Focus on developing an airtight buyer persona that directs marketing strategy. Additionally, keeping an eye on the churn rate on a monthly basis will ensure all stakeholders are informed and can adjust as necessary. Customer acquisition cost, or CAC, divides the total sales and marketing spend by the number of new customers added in a given time period. In addition to paid marketing, media, and event costs, the figure also accounts for associated payroll expenses like salary and benefits for sales and marketing staff. Hubspot recommends newer companies fold all marketing costs into this calculation since scaling for growth requires a hefty investment in branding, marketing and sales strategy. It’s normal for the CAC to be considerably higher during this period, with more established companies filtering out extraneous marketing costs during the growth period. One major revenue outlet for B2B companies is via events such as webinars, trade shows, and keynote speaking events. It’s a valuable opportunity to network, generate leads, and garner earned publicity for a product. Marketers can use overall attendance, engagement surveys and total qualified leads as indicators of an event’s success. It’s also important to focus the content of an event through a problem-solution lens, given the B2B audience. Research, testimonials and sales figures that can address the emotional barrier to entry mentioned earlier are all vital components of event presentations that can win over stakeholders. Most B2B software companies spend years on customer acquisition and marketing in order to reach a period of sustained growth, so it’s normal to see some fluctuation in ROI. If negative patterns start to emerge; however, it’s a sign that the core marketing strategy needs to change. Marketing and sales metrics provide the roadmap for SaaS success. In order to remain competitive, software brands have to take a critical look at their marketing strategies and adjust accordingly. It’s a crowded market out there for software vendors, and standing out requires a commitment to analyzing hard data for smarter, swifter decision-making. There are many answers to this question, of course, and some of them involve technical details, encryption, and specialized software. 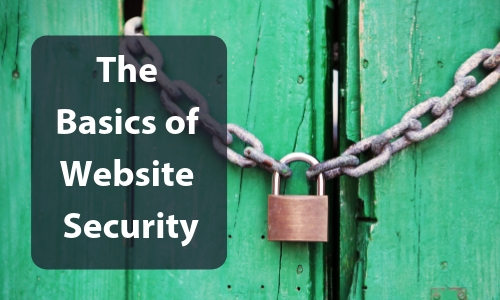 However, the best way to start protecting your website is to simply understand the basics of online security. Did you know that hackers can use automated software that can crack a simple password (like a person’s name) in tenths of a second? In contrast, a complex password – one with numbers and symbols – can take months for the same software to figure out. Most thieves don’t have that kind patients. Use strong passwords and you can keep them away from your website. Of course, it doesn’t matter how strong your password is if you routinely give it away to anyone who asks. Smart companies are very cautious about sharing their credentials. They don’t give them to employees who don’t need website access, and won’t share them with vendors without the right safeguards in place. Keep your password safe and they’ll keep you protected. Ever wonder why WordPress requires so many frequent updates? Does it seem like your plug-ins constantly send notifications about fresh versions? It isn’t just that the developers are adding new features – often these updates close known security loopholes. If you fail to make timely updates you’re essentially leaving the front door open for cyber criminals. It’s sometimes the case that the first sign of a security issue with your website isn’t a huge theft of money or changed content on your pages. Instead, it’s unusual traffic patterns on your website. These are easy to spot if you or your web design partner are checking your analytics frequently. A little attention goes a long way, so make sure someone is keeping an eye on your website’s dashboard. If the worst were to happen and your website was hacked, what would it take for your company to get back online quickly? If you have current and secure backups to draw from, you’ll have a lot fewer headaches. 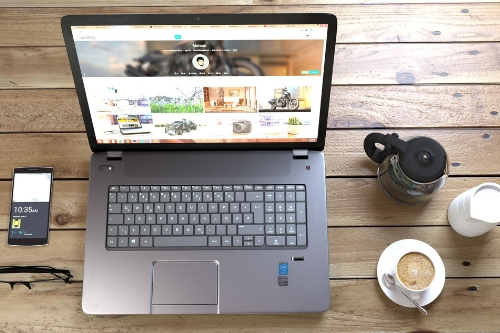 Most business owners and administrators don’t backup their websites regularly, but you can work with a creative team who will handle these tasks on your behalf. Is Your Website Truly Secure? The amazing thing about following the basic advice we have laid out in this post is that it will probably prevent 90% of your website security troubles. That’s because most hackers aren’t using sophisticated tools – they are using simple software programs to find businesses with known vulnerabilities. Don't assume your website is secure. Instead, leave it to the experts to ensure your corporate website is safe from hackers. We have helped numerous businesses with their online security needs and we'd be happy to help you too, so reach out to WebRevelation for a complimentary consultation. In just an hour will be able to show you how to protect your data and improve your online marketing results! Call us today at 817-283-3324. Overseeing technology for a rural hospital can be a daunting task. In some ways, smaller medical centers have more significant and pressing needs than larger urban care facilities. At the same time, they typically have tighter budgets to contend with. Website security is a bigger concern than ever before in 2019. And unfortunately, hospitals aren’t exempt from hackers or cyber security threats. In fact, several facilities have been targeted by ransomware developers in the last few years. Having access to 24/7 monitoring and help desk support should be a top priority for any rural hospital administrator. The right web developer can keep an eye on the website, look for signs of intrusion, and even generate secure backups that can be used to restore pages quickly if the need arises. In today’s digital world it’s imperative that any healthcare provider have the ability to accept credit and debit card payments seamlessly. This is an area where some rural hospitals aren’t doing enough, however. Having access to secure and reliable payment processing lets you get paid faster, improve your cash flow, and lower collection costs. It’s also convenient for patients and their families. The right website developer can help you find a plan and processing system that makes sense for your hospital. Although there are always new graduates and job-seekers moving into the healthcare field, it can be difficult to identify and hire the best candidates if you are located in a rural area. That’s why using an online application process can streamline the job and decrease turnover. When you have postings and applications running through your website, you can find better employees and fill openings quickly. 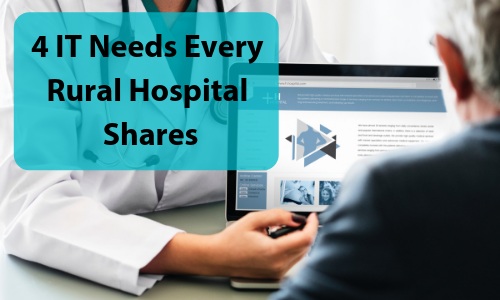 That can help you save on salaries, decrease onboarding expenses, and make your hospital run more smoothly. Can your patients make appointments, see current statements, or update their health and medication history online? If not, then you’re missing out on one of the most valuable tools for efficiency at your disposal. Integrating patient health portals is easy and inexpensive, but it takes the right programming expertise. That’s because you want everything to work seamlessly on a variety of devices and browsers, and without any risk that you’ll inadvertently share sensitive health records with the wrong people. Unfortunately, there are numerous instances where rural hospital websites are missing a crucial piece in the area of security… their websites’ SSL certificate. Simply put, this certificate is designed to keep confidential information, such as social security number and credit card information, safe from hackers. This is another area where a good website developer can quickly set you on the right course. Does Your Hospital Need a Smarter IT Strategy? If you feel like you aren’t getting enough from technology, need to improve your efficiency, or want to look for ways to cut your IT costs, WebRevelation can help. Contact the WebRevelation team today to see what we’ve been able to do for other organizations just like yours! If you ask a business owner whether or not they would like more traffic to their website, most often times the answer will be an enthusiastic “yes”. So, how is that accomplished? How do you get people to notice your website and generate purchase intent? Well, it surely won’t happen on its own. There’s plenty of competition out there on the world wide web, but with some creativity you can attract more viewers, leads and ultimately more buyers. 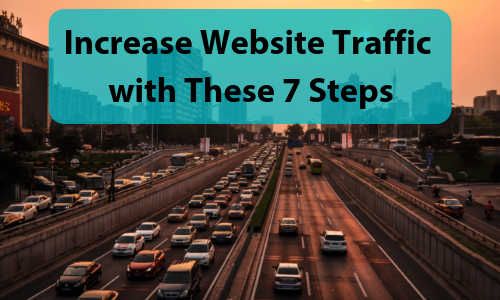 If drawing in potential customers to your website is a challenge for you, then you’ll want to hone in on these seven proven ways to increase traffic to your site. Search Engine Optimization is still vital to your website success. Clients are often amazed to find out what some new keywords, meta descriptions, and internal links can do for their search visibility. This is a relatively simple step, but one that is so important to boosting your organic website traffic. If you haven’t already, you’re going to want to join social media. Proactively posting on social media forums creates links back to your website and exposes you to a new audience of potential website visitors. It goes without saying that those visitors are your potential customers, so be sure to engage with them and answer any of their questions they post. With a little research, find the social media platforms that’s best for your business. Don’t forget to be creative and use of mix of words, videos and pictures to tell your story. Since the first YouTube video was posted in 2005, the website now has over one billion users. Tap into those viewers by posting video to YouTube, which is a great way for them to experience your brand. Definitely put some resources into those videos, both visually and auditory, as they could be the viewers first impression of your company. Viewers can watch and share those videos, leading to people visiting your website. Do you have a corporate blog? If not, you should highly consider starting one. A blog is an additional communication channel for potential and current clients, it helps build authority, and it personalizes your brand. Once you start a corporate blog, it’s important to properly maintain it. Regularly adding new articles to your blog gives you more content for Google to index, especially when it comes to long-tell search terms. It also gives visitors a reason to come back to your site. Now that your blog is created, ensure you’re getting the most from every blog post by using interesting, search-optimized titles, including attention-grabbing feature images, and announcing new articles with tweets and social updates. Do you have friends or colleagues in similar industries? If so, reach out to them and ask if you can have them link from their website to yours. Both of you will benefit from fresh visits to your pages, and they get another helpful resource to share with their own customers. It’s a win-win for both parties. People love free information, so provide them with a free e-book or special report full of details, insights, tips and tricks, and more. Link the content on your website and you’ll have new, knowledgeable visitors thanks to your informative content. Ready to Bring in More Website Traffic? As you can tell, these ideas are not tied to big costs. In fact, they’re simply free or affordable and organic ways to generate more visitors to your website. So, what are you waiting for? Jump onboard and start executing these strategies; you’ll be glad you did. WebRevelation is a full-service custom web design and web application development firm specializing in creating websites that fulfill any specific functionality. We offer strategic SEO marketing services, as well as content management systems for small and medium-size businesses. We create custom web applications and dynamic customer update-able websites. Get in touch with WebRevelation today and see how we can help your business.